(CBS/AP) SAN DIEGO - Police searched Sunday for a drive-by shooter who gunned down Clyde Thompson Jr., the president of a San Diego motorcycle club, as he worked in the clubhouse driveway on Friday night. The shooting took place while members of the group mourned and paid tribute to the man they called "Wild Dogg." 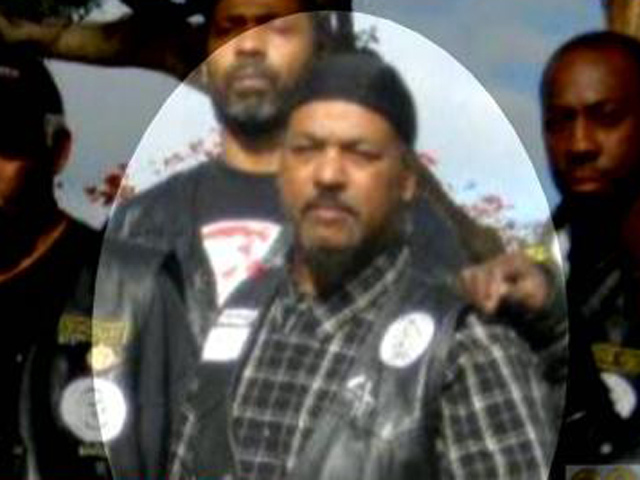 Police say they haven't identified a motive for the killing of Thompson, 51, who was president of the original chapter of the nationwide Black Sabbath Motorcycle Club. Thompson was working on his bike alongside a friend when an SUV pulled up and a passenger opened fire, San Diego police Lt. Ernie Herbert said. Thompson was pronounced dead at a hospital. Black Sabbath Motorcycle Club mourned what it called "Wild Dogg's martyrdom" in a post on the group's Facebook page. "We continue to struggle to cope with the sobering reality that despite four decades of peaceful, non-violent existence," the post said, "we awake this Mother's Day Sunday having suffered the cowardly, brutal assassination of a Black Sabbath M.C. President, Wild Dogg." The club was founded in 1972 by seven black men who liked to ride on Sundays, the group's website said. The Mighty Black Sabbath M.C. Nation has since become a multicultural club headquartered in Atlanta with 17 chapters nationwide. Late last year, Thompson took over what is known as the "mother chapter" in San Diego. John, "Black Dragon" Bunch, the group's national president who lives in Georgia, said members have historically been servicemen and tradesman - adopting nicknames to avoid misunderstandings with employers. "We don't have a motorcycle club that has a reputation for trouble," Bunch said to UT San Diego. "So we can't imagine who would have the need or the desire to hurt one of our members." Bunch told the newspaper that Thompson, who led the club through a difficult period after taking over, "was a problem-solver, he was not a troublemaker." Thompson was survived by a long-term girlfriend and two daughters, according to the club's website.